That How to Save a Life album quickly became a soundtrack of that fall season and while The Fray has gone on to enjoy mainstream pop-rock success, it was that intimate concert experience and their debut album that still resonate most strongly with me today. Not surprisingly, seven tracks from How to Save a Life made the cut for the 30 at 30 compilation. The Fray’s piano-driven, mid-tempo rock and emotional lyrics have an epic quality to them, as if they are scoring scenes from a heartfelt movie . The idea of a girl being on my mind with eight seconds left in overtime was such a powerful concept that that this song really resonated with me. Anyone who knows me, knows that I am a huge sports fan. I set my calendar by major events like the NCAA Tournament and NBA playoffs and go out of my way to stay conflict free for Michigan Wolverines Saturdays and Oakland Raiders Sundays during football season. But as much as I love sports, that game is going to end. This relationship is not. And that lyric from The Fray really puts that into perspective. 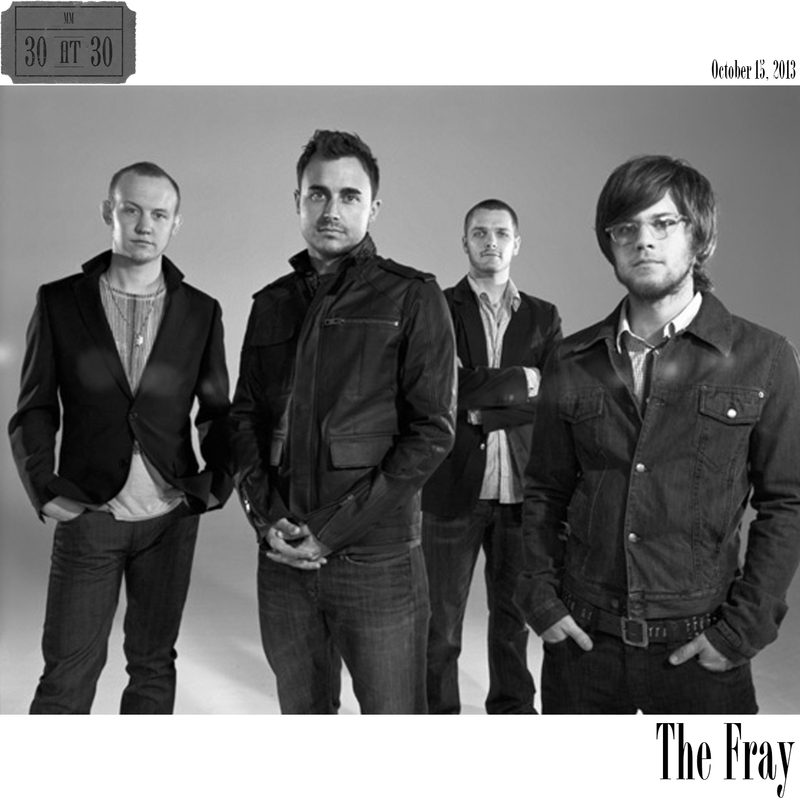 Prior to the aforementioned How to Save a Life, The Fray had released an EP called Reason in 2003, which landed three tracks on this compilation, including the thought-provoking “Unsaid” that I recommend for anyone in a relationship. It deals with the topic of communication, something Jessie and I pride ourselves on to the point that we recently spoke at an Engagement Encounter about our different communication styles and how we make that work in our marriage. The band released a self-titled album in 2009, featuring six songs that landed on this compilation, including the opener “Happiness”, which ruminates on the subject and offers some interesting insights on the age old concept of the pursuit of happiness. The Fray released “Scars & Stories” in 2012. Only four tracks from that album made the cut, but “Be Still” serves as a fantastic closing track to this compilation, a raw, somber meditation-ready song that clocks in at a brief but powerful 2:49. “Be still and know that I’m with you / Be still and know I am.” Reportedly this song was written by The Fray’s lead vocalist as a lullaby for his little brother. Depending on my mood and mindset when listening to it, I sometimes hear the “I” in this song as my own, but at other times, I hear it as the voice of God comforting me. The Fray has enjoyed plenty of commercial success since that night at Allegheny nearly 10 years ago. Still, as it did on that night, The Fray’s music at its best consistently makes me want to do two things: sing along to the catchy, memorable choruses and think about my life and relationships. *The Fray’s most recent album, Helios, came out after I had already compiled the 30 at 30 mix, so none of those songs were considered for the mix.